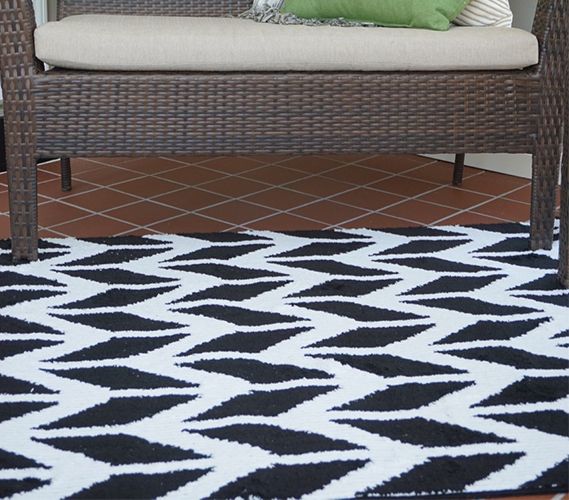 Add a pop of color to your college dorm decor and frame the open space in your dorm room with our Broken Arrow Rug in Black and White. 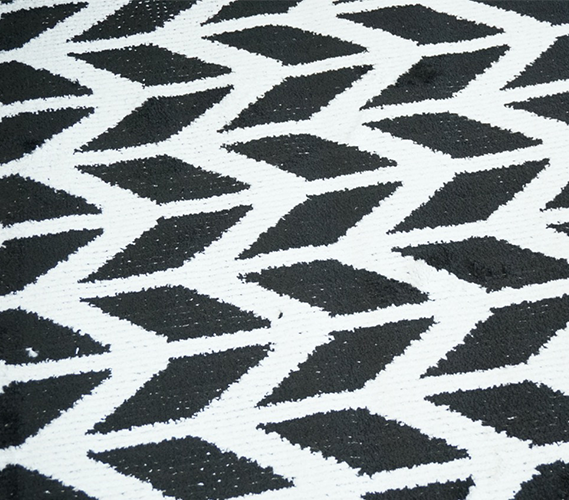 Our Broken Arrow dorm rug in contrasting black and white creates an eye-popping and completely modern style in your college dorm room or apartment. The white base keeps your room feeling bright and energetic while the alternating lines of arrows adds a modern personal style to your dorm room. 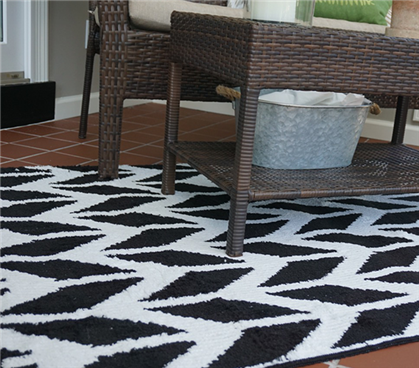 With our designer college dorm rug, your style is expressed in a totally unique and fresh way with minimal upkeep. All of our college dorm rugs are made in the USA with high quality fibers for a durable and functional dorm rug that is sure to be stylish long after graduation. 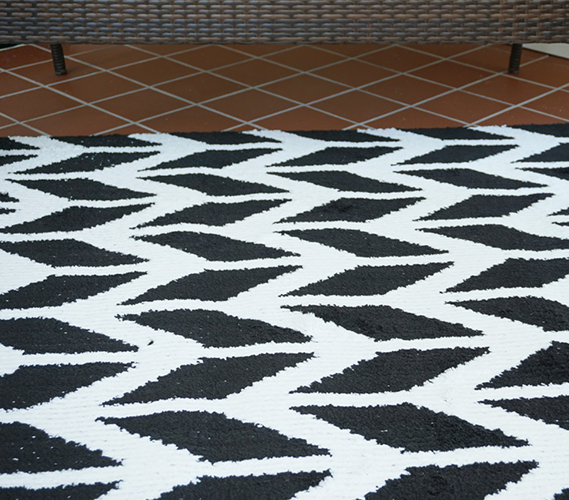 Our college rug is 3.75’ x 6.16’, large enough to cover your large open spaces while still easily fitting into your college apartment or dorm room. 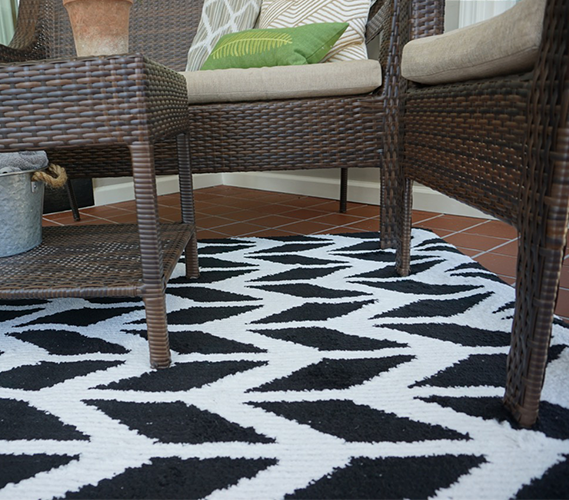 Use our Broken Arrow Rug for framing your dorm furniture or your common area living space, or just as a great dorm room styling piece. Our Broken Arrow Rug is perfect for both guys and girls making this a great graduation gift!